Yep, it's official....I LOVE this bicycle from Out for a Spin. The sentiments are so cute too! The large matted circle is up on foam tape. 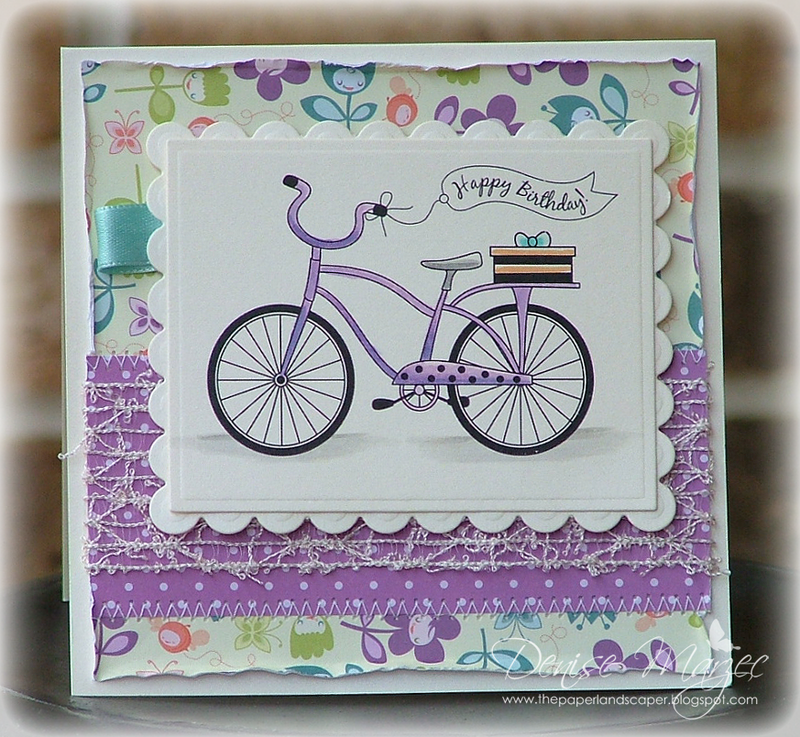 I glued down some clear mini rhinestones to the bike, flower on the handlebars, and in the corners of the large floral DP. Here's a card I made with Anna Wight's new cling set, For the Love of Snowmen. That main panel is up on foam tape and I added Candy Cane Stickles to all the hearts. 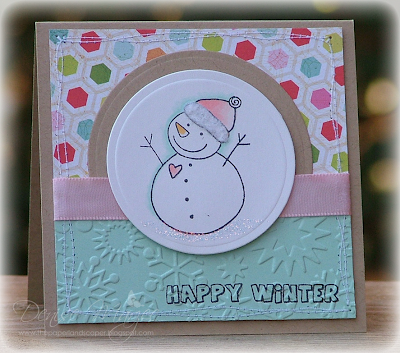 The snowflakes that are stamped on the kraft card base are also from this same stamp set. 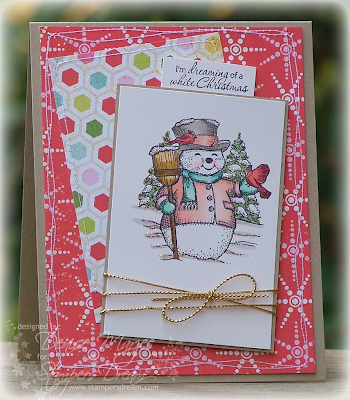 Here's another card with Sparky the Snowman. The main image and sentiment are up on foam tape and I added a bunch of stickles to all the snow. 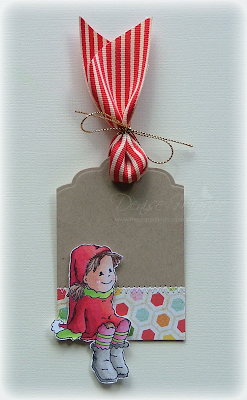 Here's a little tag I made with one of Anna Wight's new cling sets (called Got Mistletoe?). 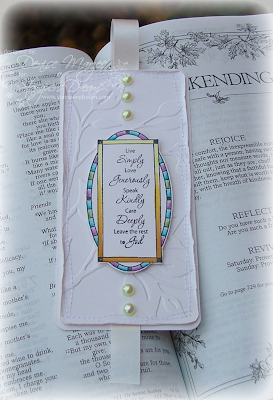 The sentiment is up on foam tape and the deckled rectangle was cut from Poison Ivory Irridescent CS that I got from Paper Temptress. I wanted to play some more with my Out for a Spin set. 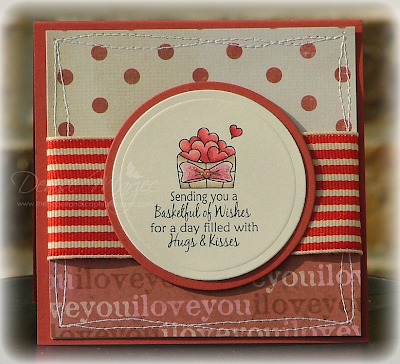 This time I made a 4" square notecard....for valentine's or just to tell someone in my family that I love them. The matted circle is up on foam tape and I added some Fruit Punch Stickles to the bow on the basket. Don't forget, you can try and *WIN this set* by commenting on the post below this one. Hi all! Today OCL is releasing four brand new Valentine's sets and we're celebrating with a blog hop and giveaways! The set that I'm giving away is an oldie but a goodie. 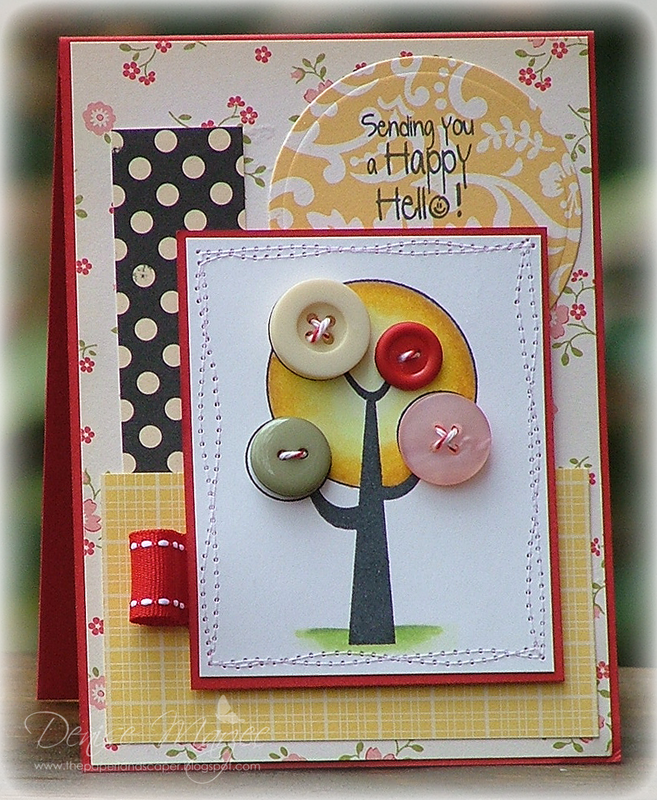 It's called Out for a Spin and it includes all kinds of sentiments that could be used for birthday cards, note cards to say hello, and Valentine's Day cards. Want to try and win the set? All you have to do is leave a comment on this post no later than Sunday, November 21st at 3 a.m. I'll draw a name on Sunday and announce it here on my blog on Monday morning. Note: Be sure to be signed in when leaving a comment or give me your email address so I have some way to get in touch with you. 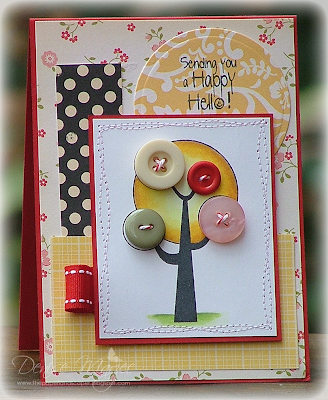 For my card today, I chose to make a birthday card because I can never have enough of those on hand. It's a 5" square card, the scalloped rectangle is up on foam tape, and I distressed the edges of the floral DP with my fingernail. Here's a list of all the girls participating in the hop today. 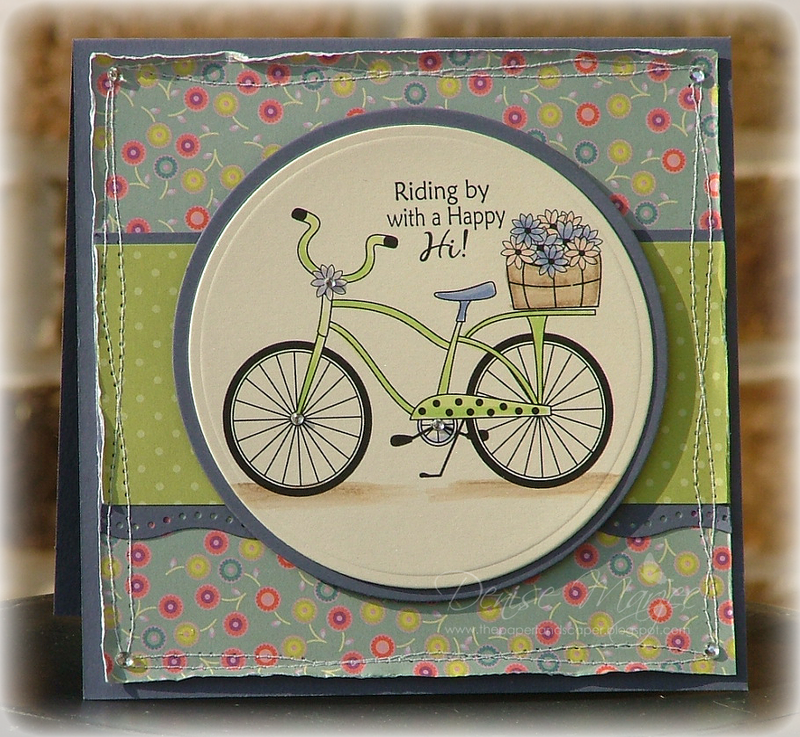 You can try to win a stamp set at EVERY stop (Yay!!!). Hi all! 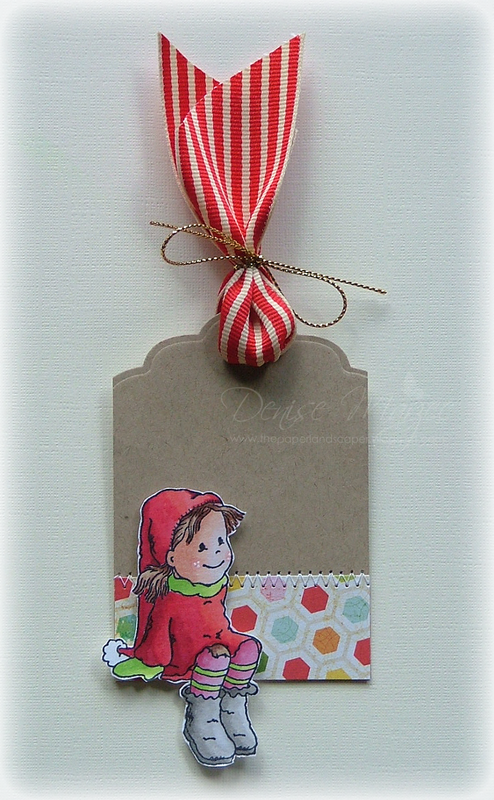 I made this little tag to match the card I posted on Sunday. Mimosa with Stocking Cap was stamped on Cryogen White Irridescent, colored with Copics, cut out with scissors, and popped up on foam tape over the tag. 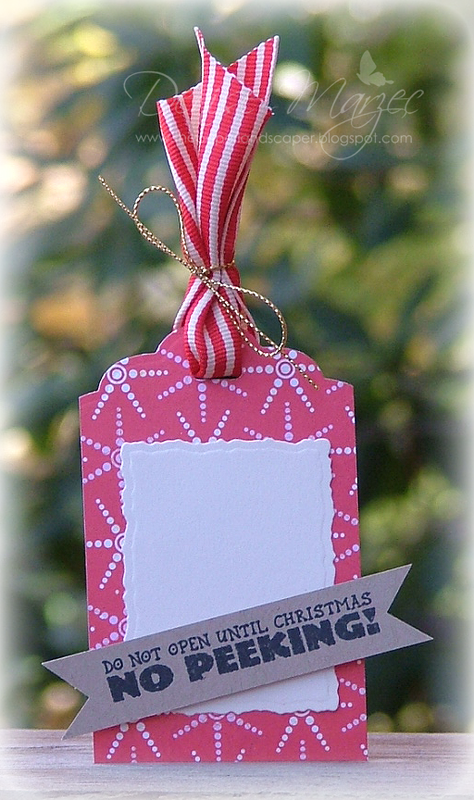 The top of the tag was cut with a Labels Six Nestabilities die. If you want to see how to thread the CS through the nestie, check out Laurie's post HERE...very cool! 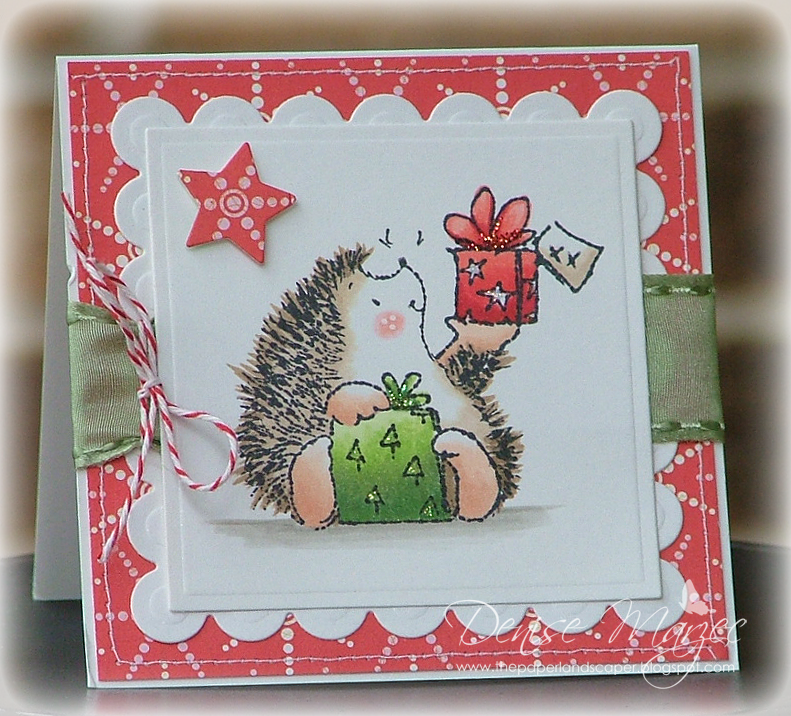 Bildmalarna stamps are available at Stamping Scrapping! Hi all and a big ole T-G-I-F!! Whewie, glad this one is over now. 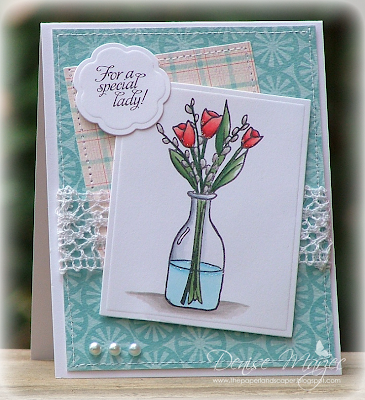 Friday means it's time for this week's OCL sketch challenge. 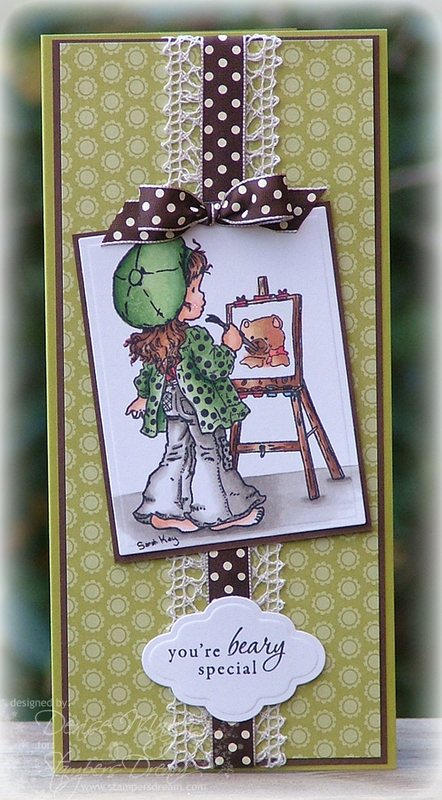 Dig out those OCL stamps, make a project, and link it up on the OCL blog for a chance to win a free stamp set! 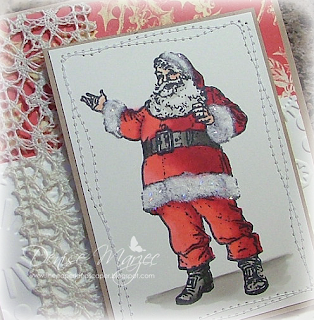 I used this gorgeous Santa image from my Ole St. Nick set, added some white Sparkly Fluff to the white parts of his coat and hat, and popped the matted image up on foam tape. Before I show you my card today, I want to say CONGRATULATIONS to Carol Longacre! 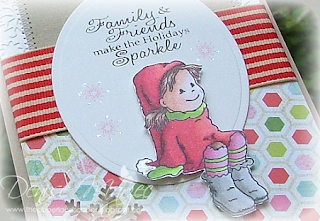 You're the winner of the Cocoa's Gift digi stamp from Sweet 'n Sassy!! Whoo-hoooo! 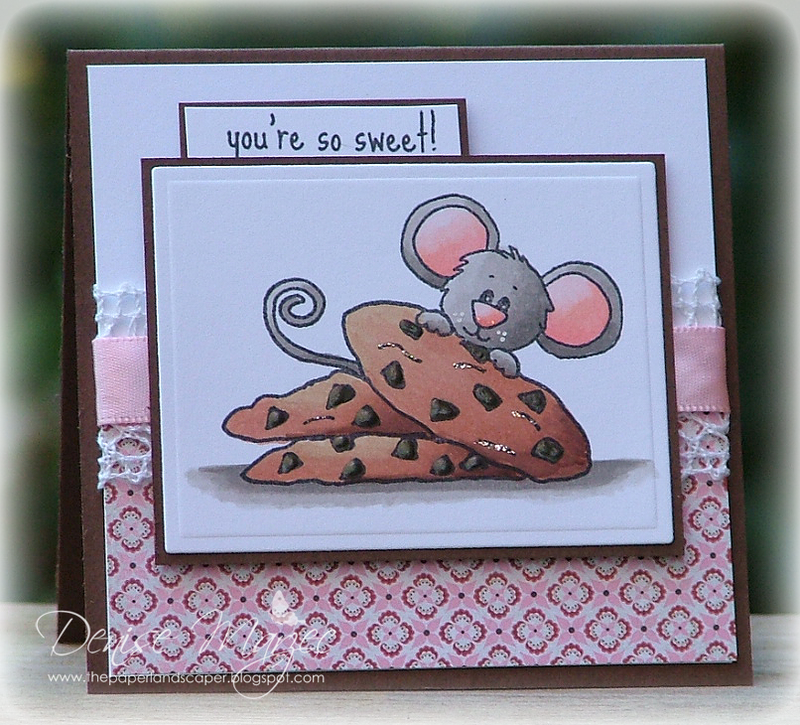 Speaking of Sweet 'n Sassy, I have another CA-UUUUTE image to show you today! Check him out! Is he not the CUTEST little puppy with his head tilted to the side? Our dog Rusty does this and it's what we call "turnin' up the cute." Hehe! The stamp set is called Woof You and the digi version is called Puppy Love. Whoo-hooo, I'm honored to be participating in the Sweet 'n Sassy Stamps Birthday Blog Hop today! 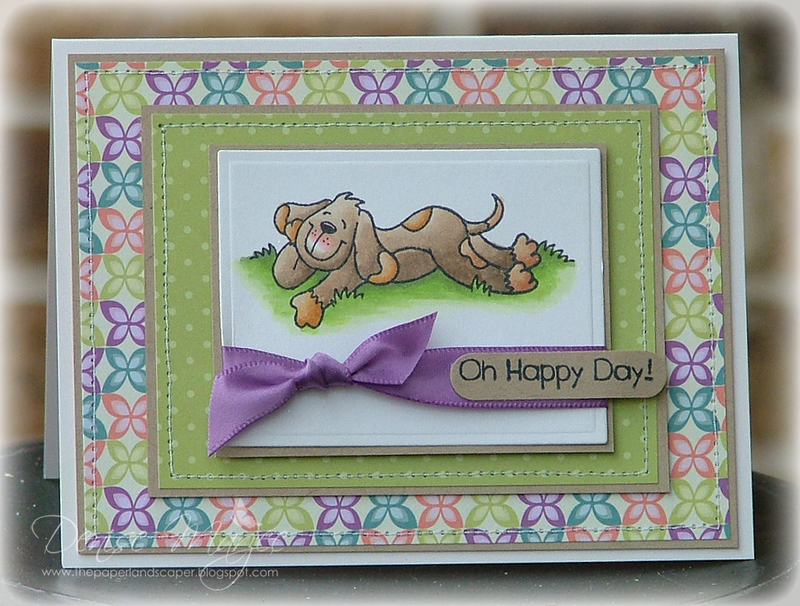 If you didn't start at the beginning, you'll want to hop back to the Sweet 'n Sassy Stamps Blog. 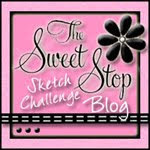 From there, you can hop around to all participating blogs......and you can try to win a prize at EVERY stop (Yay!!!) including here at my blog....but I'll tell you more about that later on in my post. 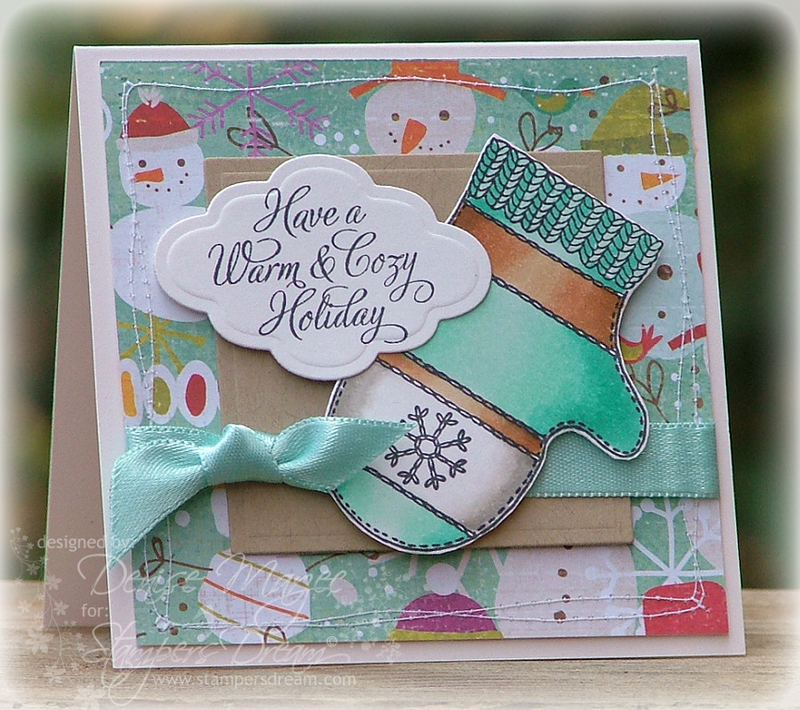 If you've come to visit me from Tami Mayberry's blog, then you're right on track in the hop. Next up after me is Jacquie Peifer! For my card today, I used an image and sentiment from Smell the Flowers. 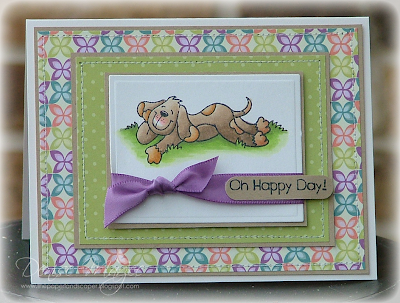 The main image and sentiment are both up on foam tape and I added some Stickles to the flowers and water. 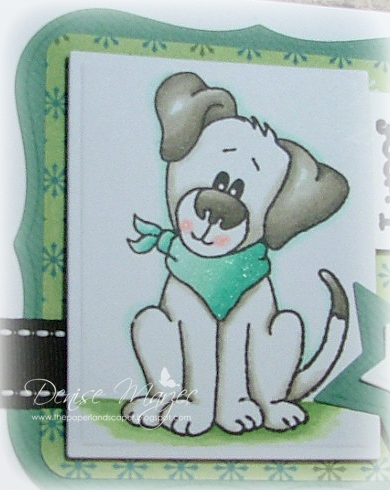 The digital stamp that I'm giving away is Cocoa's Gift! You'll love it! 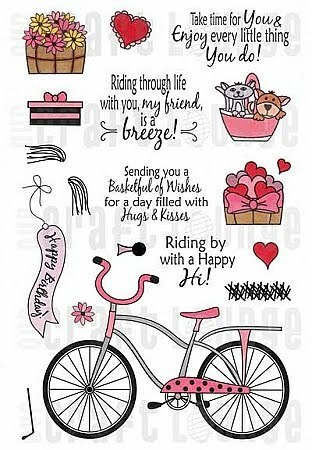 It's great for birthdays or any gift giving occasion. All you have to do is leave a comment on this post and you'll be entered....just make sure that if you're leaving a comment as "anonymous" that you include an email addy so I know how to get in touch with you. 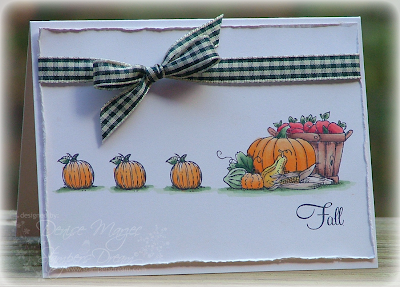 I'll draw a name on Wednesday the 10th and announce the winner sometime after that here on my blog. Okay, NEXT up in the birthday hop is sweet Jacquie. Head on over and see what she has to show you today. Hi all! 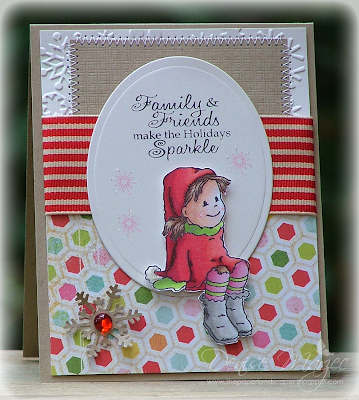 Here's a card I made for sketch 115 on the Clean & Simple Blog. I used two new JustRite cling sets, A Day in the Country and Hangin' Around. You can get both sets at Stamper's Dream. Hi all! 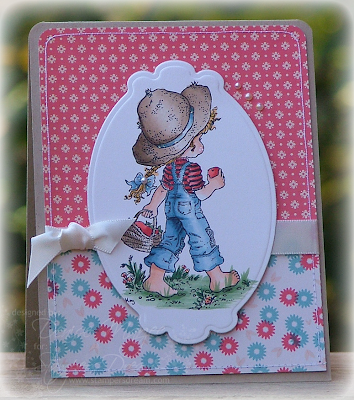 I'm so excited to tell you that I'm guest designing for Stamping & Scrapping and I got to work with this SWEET Bildmalarna image called Mimosa with Stocking Cap. 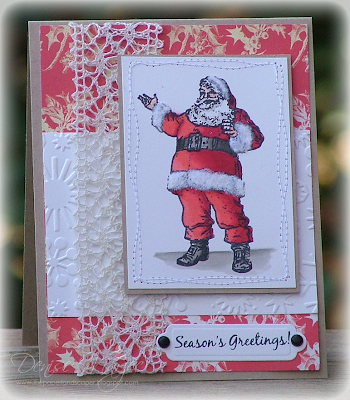 She's from the new 2010 Christmas Collection. 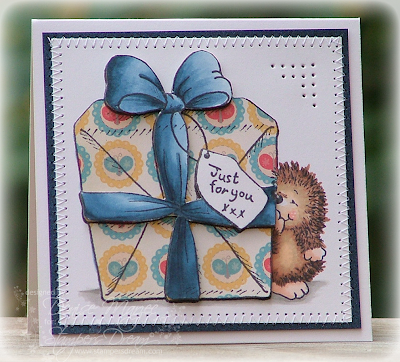 To see more awesome projects with this sweet line of stamps, check out all the inspiration on the Bildmalarna Blog. Mimosa was stamped in Memento Tuxedo Black onto Cryogen Irridescent CS that I got from Paper Temptress. I forgot about how wonderful this CS works with Copics until I went to Suzanne's Copic classes. 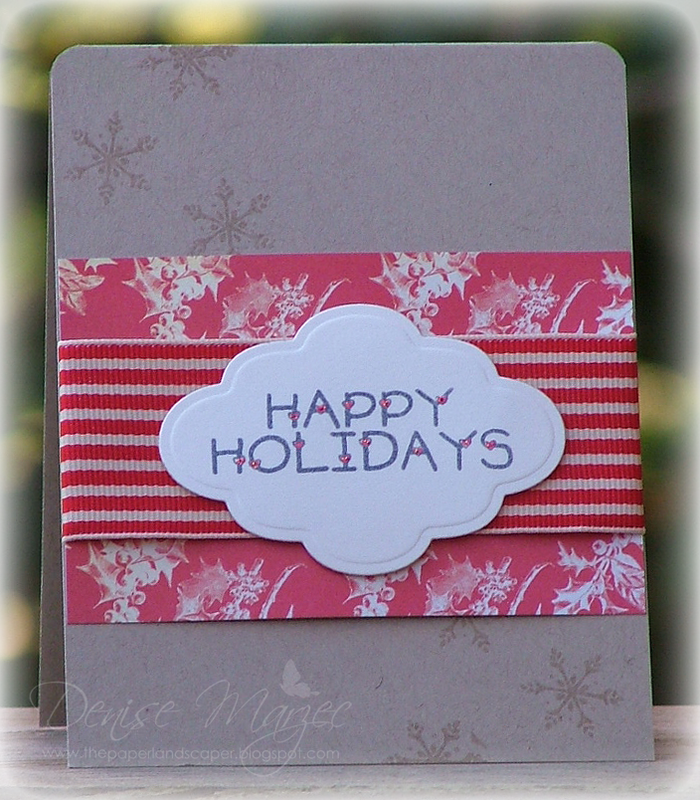 It has such a gorgeous, subtle shimmer to it....and the shimmer shows through the coloring. If you haven't tried this CS with Copics, you gotta! It's awesome! Mimosa was then popped up on foam tape on the oval panel. 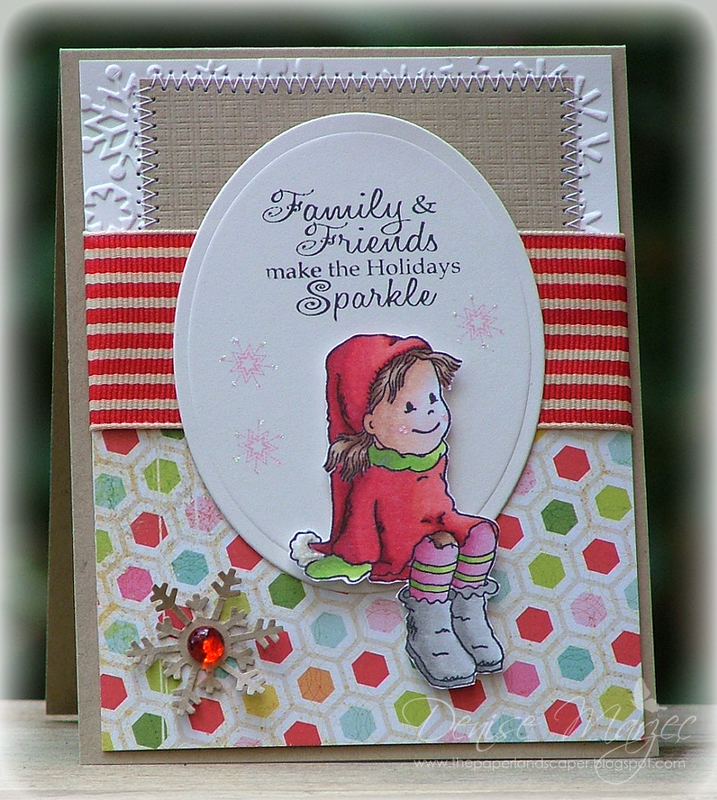 The sentiment and pink snowflakes around Mimosa are from OCL's Merry Wishes set. I added small dots of stardust stickles to the tips of the pink snowflakes and there's a little bit of frosted lace stickles on the end of her hat. It's a long card because it was holding a gift certificate to her favorite hair salon. I went with brown and green to match the colors on the gift certificate. 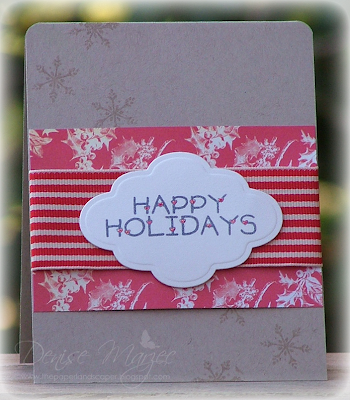 It measures 4" x 8.5" and fits in a regular #10 envelope. The image is stamped on Cryogen Poison Ivory CS, colored with Copics, and I added some Stickles to her belt and white dots on her cheek. The main image and sentiment are both up on foam tape. 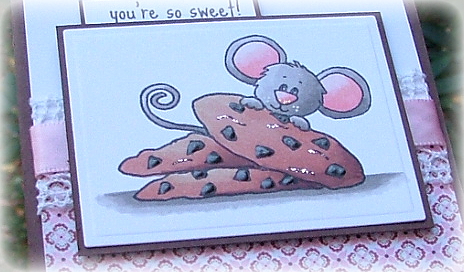 Card Size: 4" x 8.5"
Hey all! SUUUUUUUPER quick post for me today. I have lots...to...do! 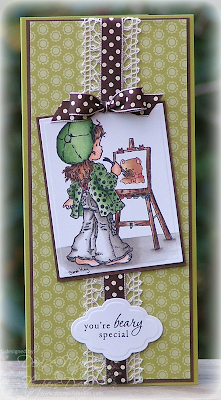 I was up at o'dark thirty this a.m. (that means ridiculously early) and made this card for today's OCL Sketch #38. 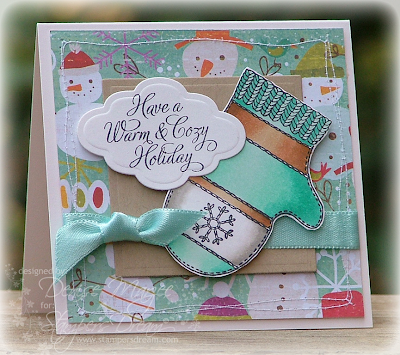 Head on over to the OCL Blog to check out the details. For my card, I turned the sketch on its side. The main panel is up on foam tape and the set I used is called Tweet Trees! 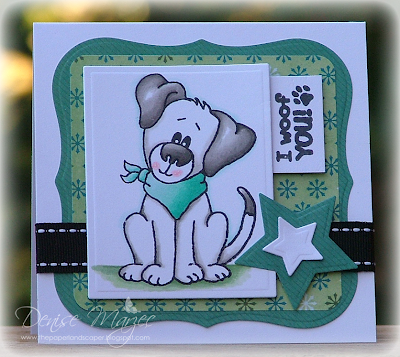 Fun set for buttons! ...okay, now can you do me a favor and cross your fingers for me that I get everything done that I NEED to get done today. Oh my! The to-do list is LONG, I tell ya! Here's a little 4" x 4" card I made with So Sweet Cocoa.....and I think the image is just that...sooooo sweet! The main panel is up on foam tape, I added Espresso Pearls to the chocolate chips (fun! 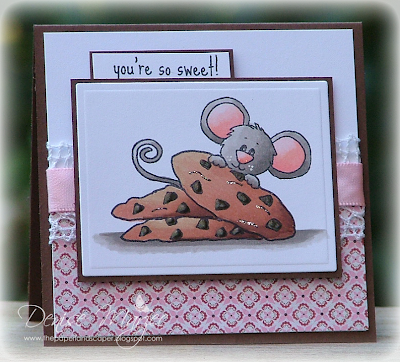 ), and some platinum stickles to the cookies and on Cocoa's nose (more fun!)! Of course, now I'm totally hungry for some cookies, lol!....so maybe I should go find me some. LOL! Bye! Okay, this was going to be a tag but somehow ended up turning into a 4.25" square card....funny how we end up going in totally different directions sometimes, huh? 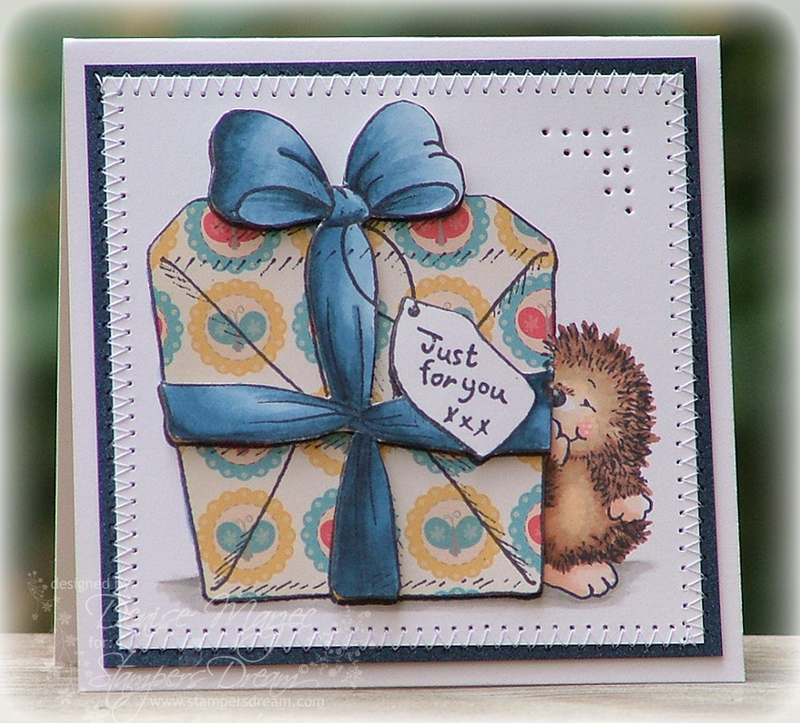 The hedgie and gift is one big stamp (called Kisses) by Penny Black. 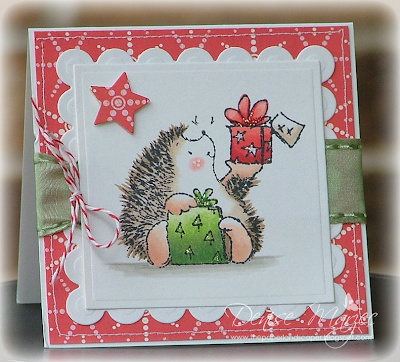 I stamped it once on vintage cream CS and colored the hedgie; stamped it again on the Togetherness DP, cut out the gift and ribbon, and glued that over the base; and then stamped it a third time, colored the ribbon, cut out the ribbon and tag, and popped it up on foam tape over the DP. For embellishing, I kept it REAL simple...just some sewing and piercing.